What’s new in craft beer? Well, everything. The industry is a dynamic one and it can feel like changes happen seasonally or even monthly. There’s no room for boredom or complacency! And because you love craft beer as much as I do, I thought I’d share some can’t misses in the craft category you should get your hands on this summer season. But why? It’s arguable that when craft beer really started to make its move, IPA was sort of the first on the scene, so naturally, it became everyone’s go-to because that’s where the buzz was (and is). That, and it revolutionized the way modern beer tastes, is brewed, and consumed. India Pale Ale is a hoppy beer style that falls under the broader category of ale. IPAs tend to be bitter, hoppy, and possess an intense flavor – and it seems like America’s taste buds have changed over the years. It’s like drinking coffee – once you get over the bitter richness, you become acclimated to the other flavors. In May, Foursquare released an article on The 15 Best Places for IPAs in Minneapolis. That list included some Minnesota familiars, including Insight's Troll Way and Phantom Taxi, and Indeed Brewing which in addition to its Let It Roll and Let it Ride IPAs features Midnight Ryder, a black IPA. If you choose one new IPA to try this month: Tribute Session IPA from Beaver Island Brewing Co in St. Cloud. 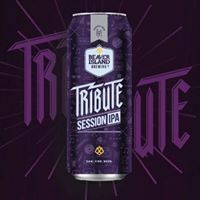 Tribute is a work of passion and "hits all the right notes for a jam session IPA that salutes Minnesota’s fabulous bands". It is brewed with a trio collection of hops: bold Amarillo, Mosaic, and Citra. But, Tribute is here for a good time, not a long time. Find it on shelves and tap lines through August. Ale is another standard beer style category that stands alone – with plenty of room for variation and embellishment. Alongside the lager category, ales are also an overarching beer type with top-fermenting yeasts and warmer brewing temperatures that result in a sweet, full-bodied, and fruitier flavor. Historically, ales have always appealed to every kind of beer drinker. Where IPAs get their hype from hops and bitterness, the opposite can be said for ales though they share an origin. They won’t crush your taste buds with bitterness, burnt malt character, or pucker you up with acidity. Ales are just so dang drinkable - and perfect for summer. So ales aren’t new, but when small local brewers popped up in the Midwest again, ales received a bit of a resurgence being featured at Summit Brewing Co, Leinenkugel’s, and August Schell Brewing Co. among others. This sole category of beer hasn’t received the attention of other styles because they are brewed with so much consistency versus intentional experimentation and diversity. 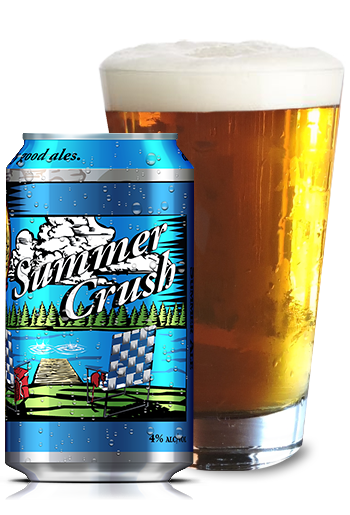 If you choose one new ale to try this month: Summer Crush from Castle Danger Brewery in Two Harbors, MN. Summer Crush is a sessionable beer, and Castle Danger's take on a Shandy without being one. "Like a Summer Crush back in the day or Minnesota’s short summer season, this beer won’t be around for very long." Here's a newer category of beer for you to consider: the sours. A sour beer is brewed to be intentionally sour or tart. The acidity is really what's on display in each sour beer. Sour beer as a cultural phenomenon is relatively new, but the practice of making it is quite old. At one time all beers were sour to a degree before pure yeast cultures were created. Modern brewing removed the wild yeast intrusion and now brewers are honing in on the practice with renewed vigor turning out sour styles like lambics, gose, and American wild ales. Breweries like August Schell established mixed culture beer series like its Noble Star line of Berliner weiss-style beers aged in restored cypress fermentation tanks. Years later in 2017, Minnesota's oldest brewery would open the Star Keller Brewing Company, an offshoot of Schell's dedicated specifically to sours. If you choose one new sour to try this month: Roselle from Fair State Cooperative. A beautiful pinkish-red beer infused with hibiscus flowers - it doesn't get more summery than that. 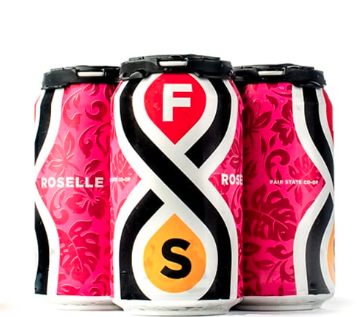 Considered a kettle sour saison, Roselle also gives a nod to a current trend in the beverage world: everything rosé. Want to know about beer styles and what consumer preference looks like? Download Bernick's freshly updated Periodic Table of Beer 2.0.